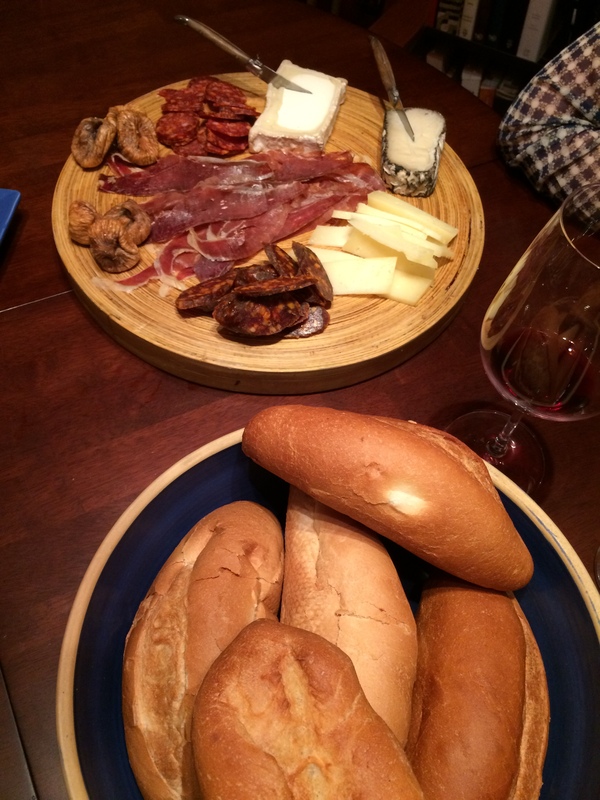 Dorianne and I went to a tapas dinner prepared lovingly by our friend Mary Stec. Attendance was based on bids at a charity auction and there were four couples plus our daughter, Grace, who is home from Boston University for the holidays. The line up of Spanish Reds and one Argentinian Malbec. Whites included Albarino and the sparking Cava at the right side of this line. Oh, and some bread. And mussels and chicken and sausage and . . . The wines ranged from very good to not so good. 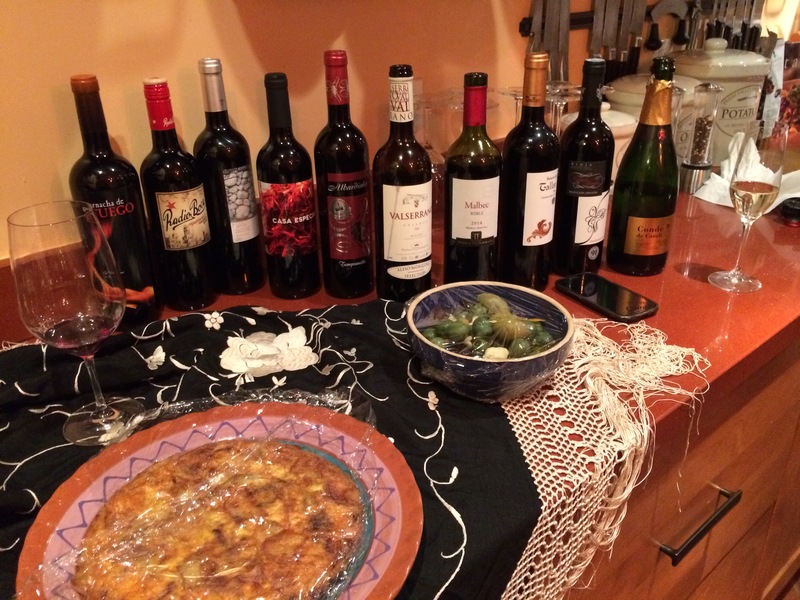 Spanish wines tend to be priced low compared to other European wines, but there is not a widespread familiarity and knowledge with most of them. In our sampling (I did not get the list, sorry! ), the two best wines retailed in the low $20 range. Those at $10 or less were all disappointing to one degree or another. We did not open the Malbec.